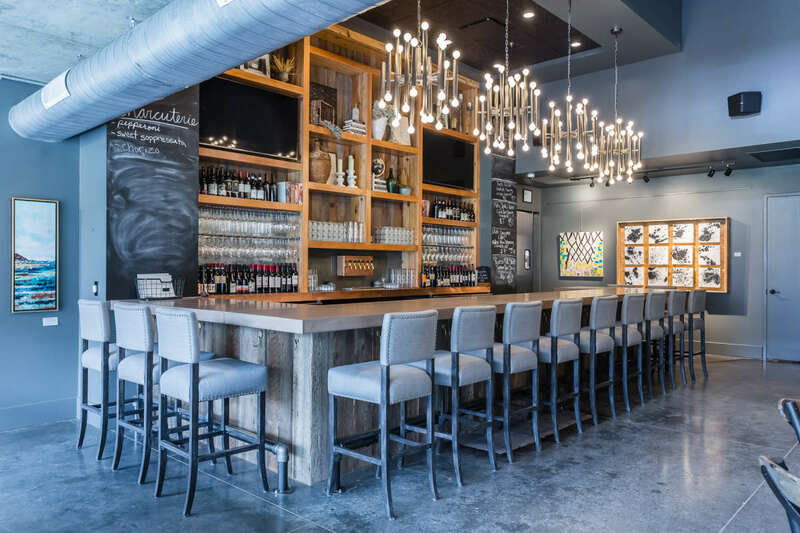 A wine bar + art gallery nestled in North Hills, Vita Vite Midtown features a menu of internationally curated wines along with craft beers on tap, small plates and locally sourced desserts. Guests can purchase art from southern artists as well as goods from specialty artisans and vendors. 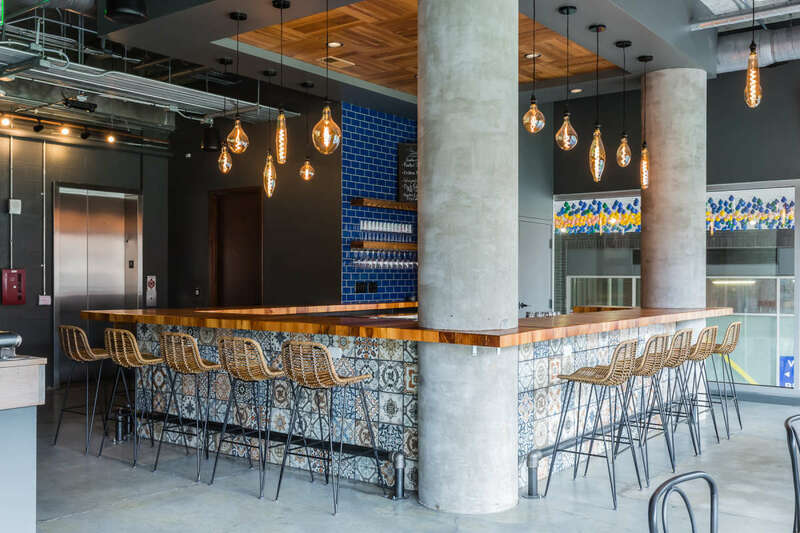 The 6,000-square foot space blends a modern, edgy ambience with a sophisticated charm, showcasing artful Moroccan tiles and found materials from a 150-year-old Virginian church. Marked by a 360-degree bar, the second-story mezzanine affords vistas of Midtown Park through a retractable glass wall. 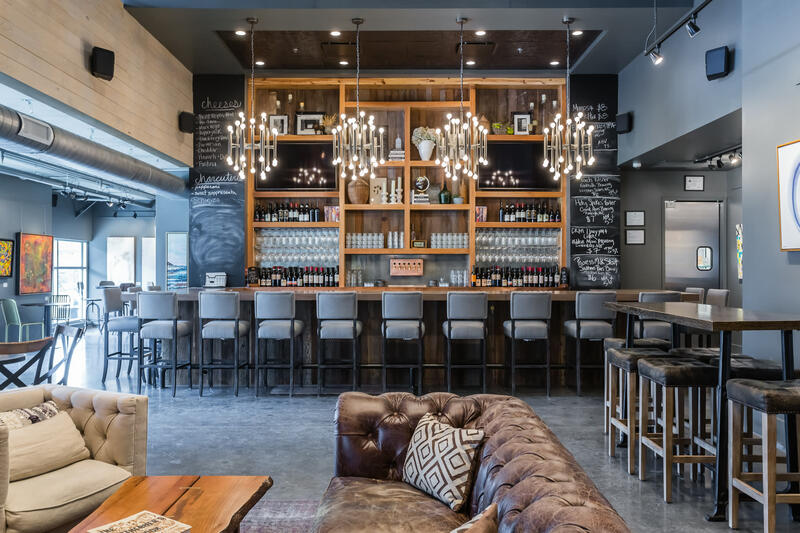 Owner Lindsay Rice opened Vita Vite as a way to blend her two passions - art and wine. 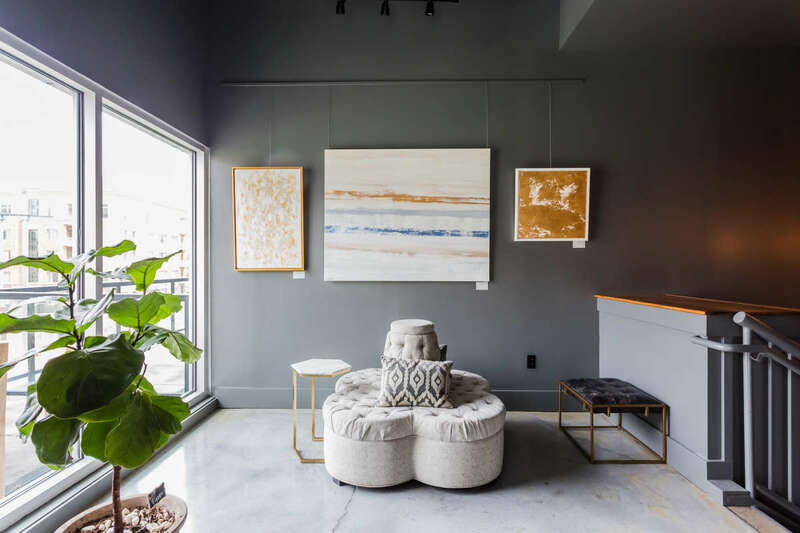 She wanted to create a comfortable space to help people visualize the artwork in their homes - all while enjoying a glass of wine.